Finding the perfect pumpkin this fall may be difficult because crops in Texas have been crippled by the drought. North Texas pumpkin patches are ordering their supply from other states, pushing the price of this year's jack-o'-lantern up. Jan Balakien planted the seeds for the Flower Mound Pumpkin Patch nearly 20 years ago. Each year, her fields are covered with thousands of pounds of pumpkins. So far, she has received one shipment of pumpkins and considers herself lucky. "The farmers have actually lost 35 to 40 percent of their crops, so what pumpkins are available are going to be available to the customers that have been their customers for years," Balakien said. 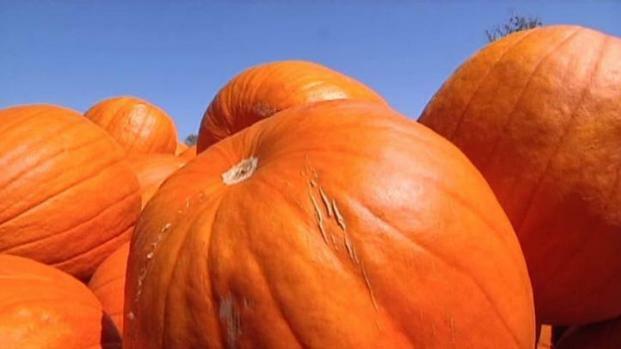 North Texas pumpkin patches are ordering their supply from other states. Wes Stucki, who owns another pumpkin patch in Flower Mound, has ordered his supply from other states. "We will be bringing pumpkins in from Ohio and North Carolina," he said. Pumpkin prices have gone up, but Stucki and Balakien said they are trying to keep their prices low. The biggest difference customers will see when buying a pumpkin is in size. "The average pumpkin will be a volleyball size, and most people that are looking for a pumpkin want a jack-o'-lantern which is about a basketball size," Stucki said. "That big jack-o'-lantern may not be Texas-grown this year."